Today I have a real treat. The ladies of the Indie Chicks Cafe have released a wonderful anthology. And to celebrate that, and because I absolutely LOVED the book and think that every woman I know should read it… I’m giving away at least one eBook copy of the title. Read on to see more…. Twenty-seven authors, all who are independent and successful writers, come together for this anthology about love. And who doesn’t just love a love story or a love letter? But, this wasn’t digging through the box in the back of the closet: these are the love letters that never were written, or sent. Perhaps courage was waning, or perspective was missing: or the worst of all, you could do it tomorrow. These are those love letters: the ones that never saw the light of day. Poignant, powerful and often so laden with emotion these are all stories that will make you think. Whether you can remember some of the references, or the feeling, or even if you were that girl, in that situation: you will not be simply reading along peeking at a life. While this is not a long book, the emotional impact is a cumulative one: I’m one who devours books, and I found myself giggling, gasping and later blurry eyed from the tears that were falling. 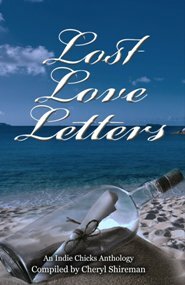 Each story has a different heartstring that it dances on: memories, empathy, regrets and lessons are all found within these letters. Each new letter had me adding one more person to the ‘chase them down and make them get this book list”. It isn’t often that I have books that people MUST buy, but this is one that you will read, and then want to send to all of your friends. Beautifully written, these ladies pour out their stories and display emotions that are so raw, real and present you will not be untouched. I purchased an eBook copy of the title for my own personal library. I was not compensated for this review: all conclusions are my own responsibility. Love letter - what phrase conjures up more intense feelings than that simple phrase? Most of us have received a love letter. Many of us have written a love letter. Some of those letters were tucked away in the bottom of a drawer. Others were ripped to shreds or destroyed in symbolic flames. Whatever their fate, the one characteristic all love letters share is their raw and intense honesty. When we are declaring our love to another, we are speaking straight from the heart. Such words are precious because they capture a true moment in time. Whether a love lasts or not, in that moment, those words are real and sincere. Last year, when the talented women writers of Indie Chicks were thinking about the subject of their next anthology, Barbara Silkstone came up with the idea of a compilation of love letters. Immediately, all of the women responded with enthusiasm. But what kind of love letters should be included in this anthology? There are many kinds of love letters - sweet and innocent; frank and honest; torrid and steamy; or sad and full of regret. What type of letters should be included in such a book? They tossed around some ideas and eventually came up with this one - Lost Love Letters. These are the long-overdue love letters that were never written. The recipient might be a first love, a child, a parent, a favorite aunt, or the one that got away. The subject was wide open, and the instruction was simple - pour your heart out. And so they did. Here is that collection. Be prepared to smile and remember your own loves. Be prepared to glimpse into the hearts of many women. Be prepared to cry. And when you are finished, you just might want to write your own Lost Love Letter. The best time to share love is always now. Letters from many best selling authors including: Barbara Silkstone, Cheryl Bradshaw, Cheryl Shireman, Christine Nolfi, Christy Hayes, Conseulo Saah-Baehr, Donna Fasano, Faith Mortimer, Georgina Young-Ellis, Gerry McCullough, Heather Marie Adkins, Karin Cox, Kat Flannery, Katherine Owen, Lia Fairchild, Linda Barton, Lisa Vandiver, Louise Voss, Lynn Hubbard, Mary Pat Hyland, Melissa Smith, Peg Brantley, Penelope Crowe, Sarah Woodbury, Shanon Grey, Sibel Hodge, and Tonya Kappes. So I will give away at least one (and perhaps as many as 3) eBook Copies of the title – depending on entries. Contest closes at 23.59PM on 10 February – you can share and tweet once a day – the more tasks you do – the better your chances. You really don’t want to miss the opportunity! Normally, I would have author bios here – but there are far too many ladies to not make this post interminable… instead I have added a title from each of the authors to one of the 3 carousels below. Please take a moment to scroll through and see just what gems there are on offer from these women!